EVGA recently updated the sole laptop in its range, the SC17. It improved this Intel Core i7 6820HK and Nvidia GeForce GTX 1070 powered 17-inch laptop by equipping a G-Sync 4K monitor panel. As a reminder, HEXUS reviewed the original EVGA SC17 shortly after launch. If a 17-inch gaming laptop is a bit too much for your lap but you would be interested in a 15-incher from EVGA, you are in luck. EVGA first took the covers off its SC15 prototype back at the CES 2017 in January. You can see it briefly described below, in a video taken at the time by Newegg, featuring EVGA marketing and PR guy, Jacob Freeman. Now EVGA has decided to pump up interest in the SC15 again, as it informed its Facebook fans that the 15-inch gaming laptop is "coming soon". On Facebook we got to see a new image of the laptop from the side, showing a handy collection of ports including; USB 3.0, USB Type-C, a full sized HDMI, and a Mini-DisplayPort. 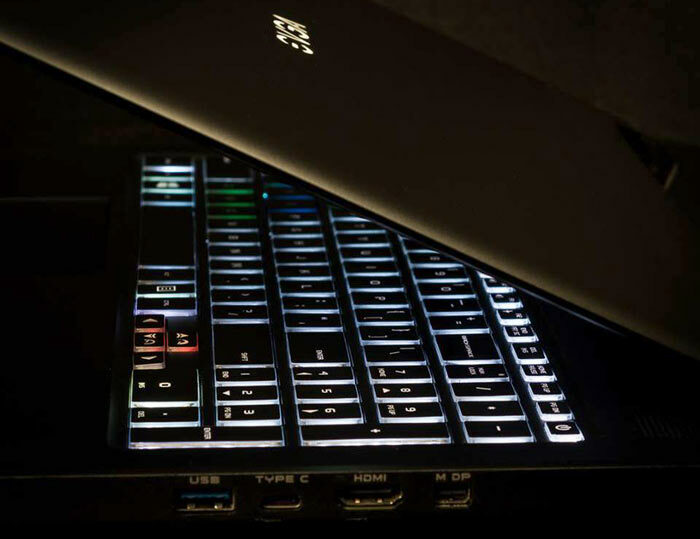 With the 17-inch SC17 gaming laptop costing around $2500 the upcoming 15-inch model isn't going to come cheap, especially as it retains many premium features such as build materials, the use of a top end mobile Kaby Lake processor, and the G-Sync module. However, it should be significantly lighter, and more portable than the SC17 which weighs in at over 3.9Kg (8.69lb).